That’s a long way to go for 60 seconds everyone said, well it was line one zillion seconds of AMAZEMENT we said! 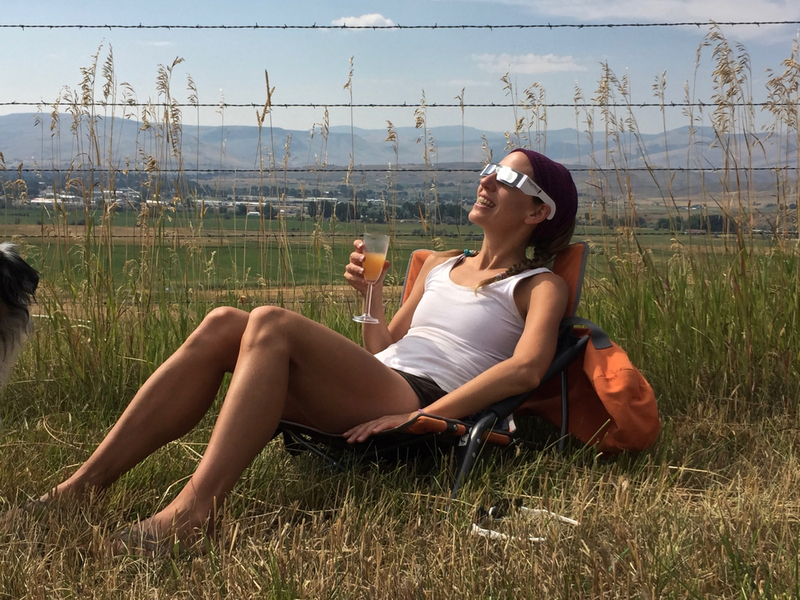 Pretty much The Great American Eclipse was just a reason to get out of town and visit one of my most favorite cities in the world – Lander, Wyoming. Lander is a climber’s heaven and the town is filled with the kindest people ever and you can camp in their city park for FREE! The Lander Bar patio has to be one of the happiest places on Earth and the city is entirely surrounded by gorgeous places to go explore from wide-open desert to the craggy granite peaks of the Wind River Mountain Range. We left Salt Lake City Saturday morning to avoid the non-existent apocalyptic traffic headed north and zoomed it straight to the Oregon Buttes Wilderness Area. Fritz and I went for a run out here last summer and I’ve wanted to come back and explore a little more. This is complete nowhere territory with views stretching forever in all directions. 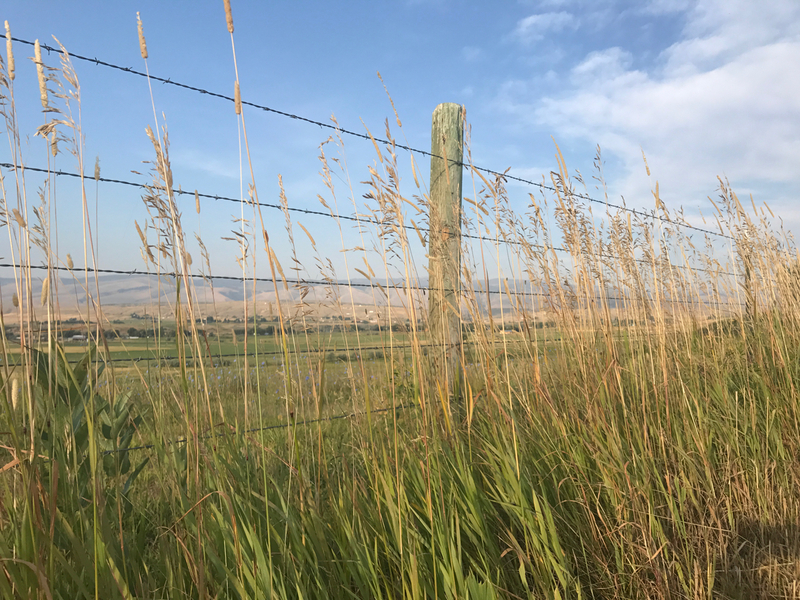 You see the Wind River Range to the west across undulating sagebrush hills and absolutely nothingness stretching for miles in every other direction – the vastness is dizzying. Roo enjoying the dear sweet nothingness. 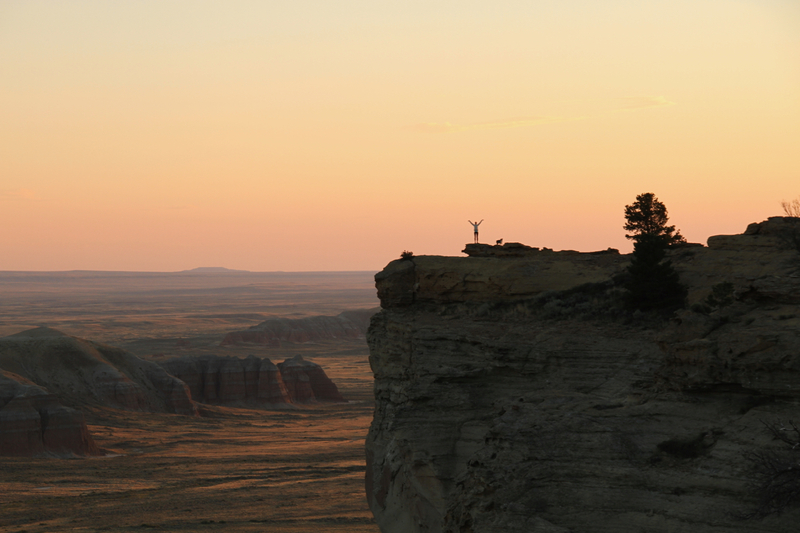 We camped along a ridge just off the main Oregon Buttes Road and enjoyed the loveliest sunset and sunrise. 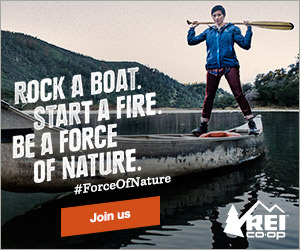 I would camp back at this spot in a minute! 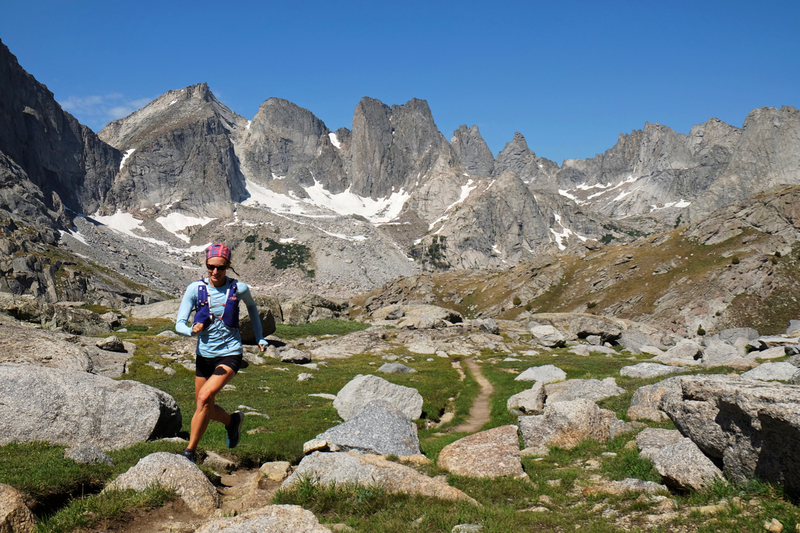 In the morning, we headed out to the Big Sandy Trailhead for a run into the Wind River Range. 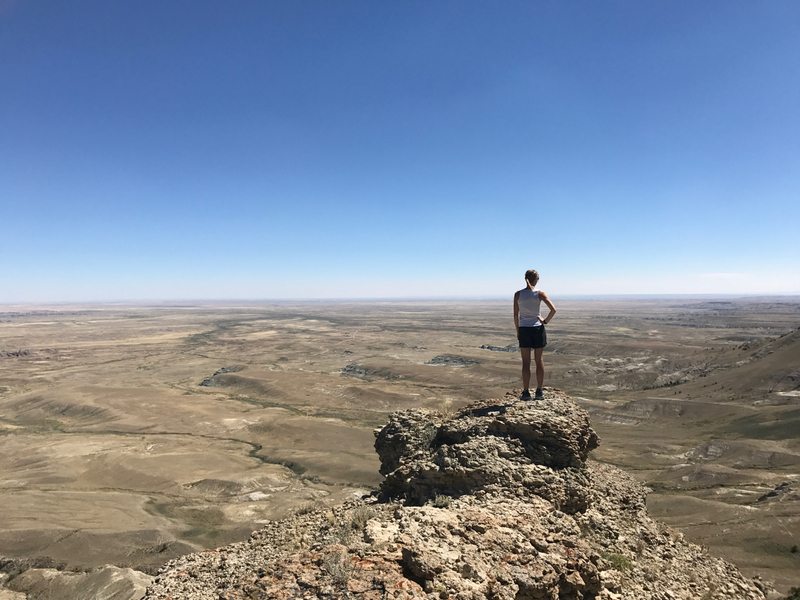 This was a total bucket list run and totally deserving of its own post – Running Wyoming’s Cirque of the Towers. While enjoying a post run Hungry Hippie and the tastiest margarita ever on the Lander Bar patio we pulled out the maps to try and find a camp spot for the night and a plan for tomorrow’s eclipse viewing (the normally free Lander City Park was charging 100 bucks for the weekend in an attempt to control the hoards of eclipse-rs and I couldn’t blame them for wanting to make a few bucks). That was when Andrea saw a sign at the Lander Bar advertising 25 buck camping in a hay field close to town with all the proceeds benefiting the Methodist church. Sold! We followed the signs (and balloons) to the Methodist hay field and was greeted by the nicest of folks. With all the eclipse hoopla in Salt Lake and failure to think that far ahead we never did score eclipse glasses. I had seriously regretted not waiting in line for hours to get glasses since why would we drive all this way without a way to even see the darn eclipse and well then here come the nice Methodist ladies with plenty of eclipse glasses on a donation basis. I handed her 5 bucks and said we’ll just take one pair and she said, “whoa for that much, just take two!” The eclipse was aligning more than just the sun and moon, but all of our luck too! View from our campsite at the Methodist hay field. 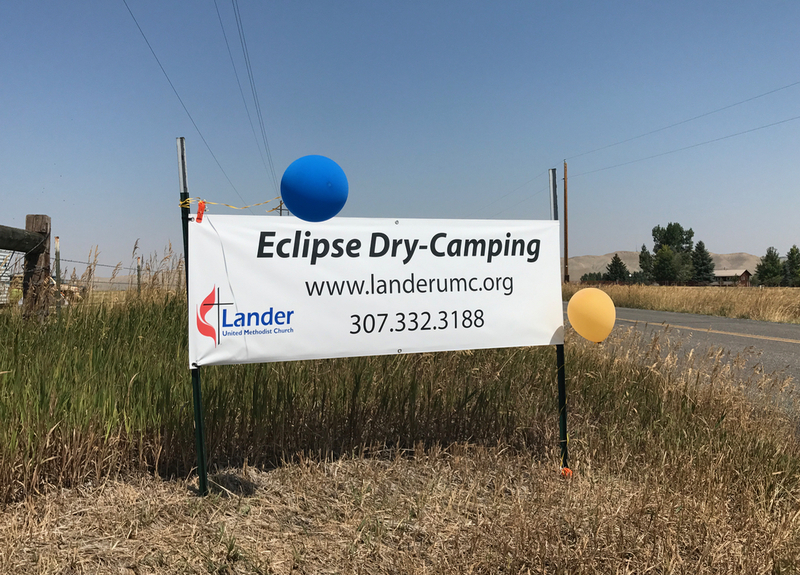 I felt sort of bad for the city of Lander, they had expected thousands and thousands of people for the eclipse and well the city streets were nearly empty the morning of the eclipse and there were only about 15 tents a handful of RVs in our 10 acre hay field. We had a great view from our campsite so we just decided to watch the eclipse from there. 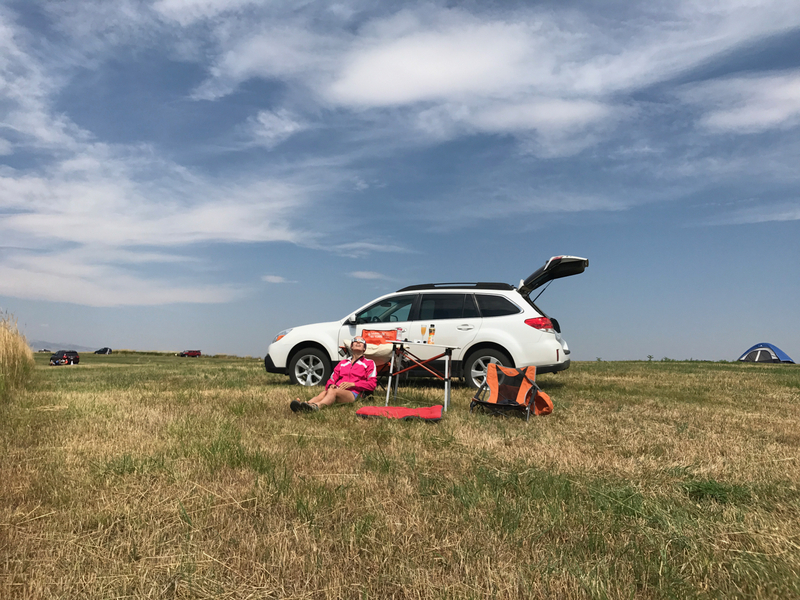 Getting our eclipse viewing pre-game on. Now onto the actual eclipse… this was the gosh darn most amazing thing I have ever seen! 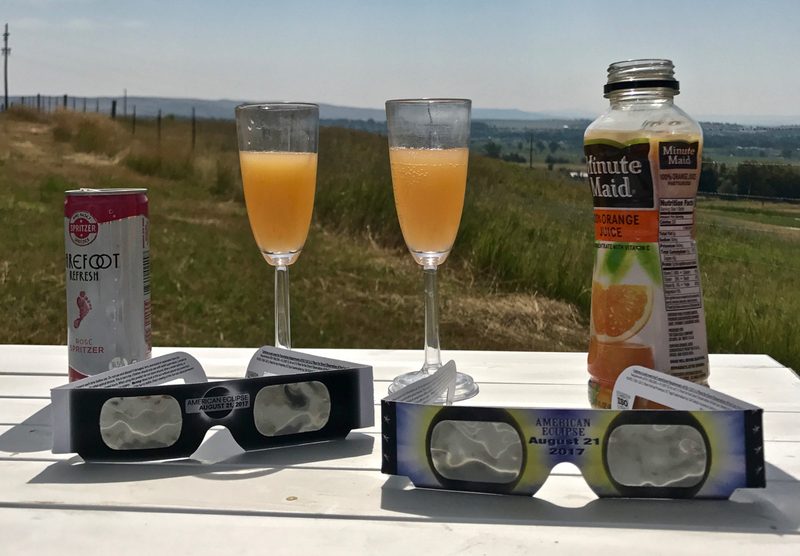 I didn’t take any photos because I wanted to experience every moment of the 1 minute and 14 seconds of totality we were given, which Andrea fully documented below. The darkness seemed to come in waves, like someone was turning the lights down incrementally rather than gradually dimming. The moment the sun was completely covered was nothing other than mind blowing. I had listened to an interview with the author of the book, American Eclipse: A Nation’s Epic Race to Catch the Shadow of the Moon and Win the Glory of the World, the week before the eclipse and he described how viewing a total eclipse was a life altering experience. I was prepared to have my life altered to which Andrea said, “I don’t want you to be disappointed.” And well LIFE ALTERED! 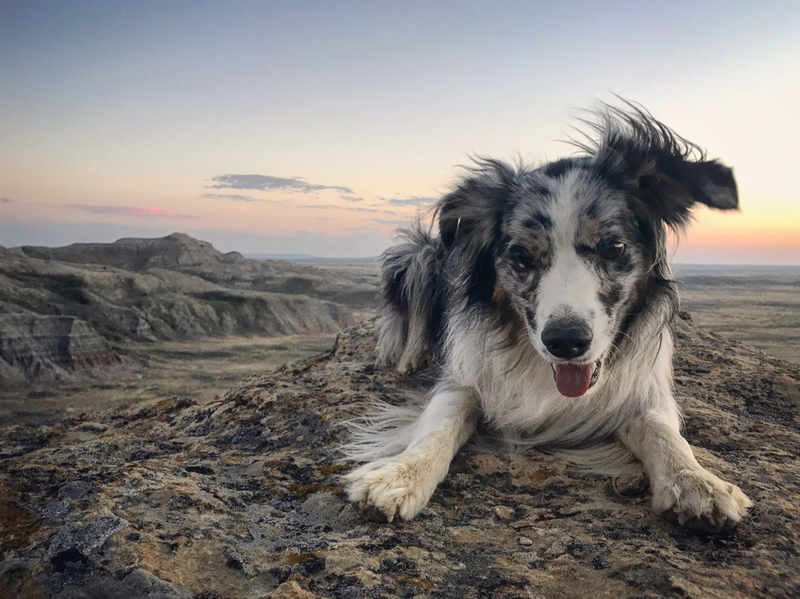 The entire horizon turned a bright shade of pink, everything went so still and quiet, I saw one star (or planet), and my dog let out 2 strange barks. And then it was over. The moment the sun peaked out again we all cried, “Nooooooooo! Do it again. Come back. We should have driven further north for 2 whole minutes. Again, again, pleeeeeease!” And then I got the shivers. The temperature seemed to drop after the total eclipse, but maybe it happened during and I was too enamoured to notice. Now for the apocalyptic part of the trip, the drive home. Well actually not for us. We saw the traffic so we headed out to the Lander City Eclipse Festival and caught some live tunes, ate some ice cream, and then took a nap in the Lander City Park before making the uneventful drive home. So totally worth the trip and I’m already making plans for 2024. My eclipse viewing modeling shot.